And finally is the place for wearable tech news to really let loose. 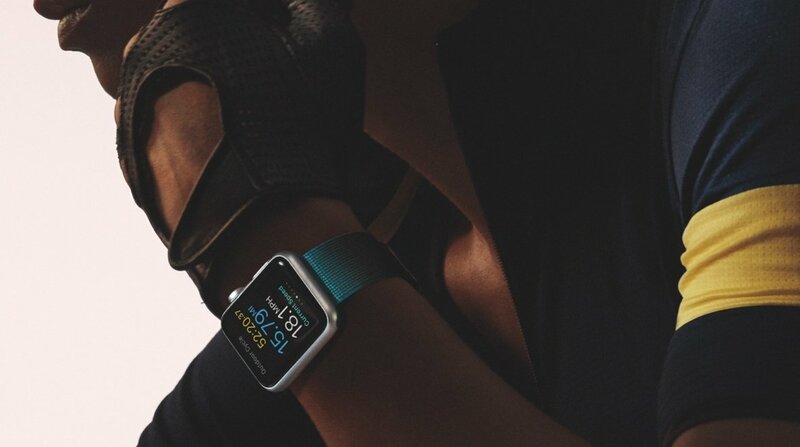 We're not so concerned with official announcements and reviews here, instead we're more interested in the hottest tidbits of smartwatch, fitness tech and VR gossip plus smaller stories that didn't quite make the cut during the week. So read all of the below with that in mind - some of the tech could pop up within the next few months, some may never see its day on virtual shelves. Apple Insider has the scoop on some very interesting Apple patents which were published earlier this week. One of them details a system for modular Apple Watch accessories and straps which connect to the Watch via its diagnostics port. We've seen a similar idea before with Pebble's Smartstraps and if Apple is actually developing this tech, we could see GPS, wireless charging modules and more. This week, we looked at "the Apple method" of making tech fashionable and went hands on with an upstart smartwatch rival, the Olio Model One. This juicy little rumour from SamMobile is probably true. It's reporting that the blinged up, diamond encrusted, rose gold Gear S2 de Grisogono, which we saw at Baselworld 2016, will cost $15,000 for one of the 100 limited edition units being made. It's exactly the same tech as the regular Gear S2, apart from a few extra watch faces and it comes in stainless steel as well as gold (which will probably be slightly cheaper). The Gear S2 is still one of the best smartwatches you can buy. If you already own one, check out our list of the best Gear S2 apps so far and do drop us a note in the comments with your recommendations. Google is continuing its 360 degree video and VR push with its new VR view feature which lets you embed VR videos into Android apps, iOS apps and websites. Over on the Google blog, product manager Nathan Martz, explained that websites can simply embed an iframe whereas app developers can access the Cardboard SDK (also now for iOS) and add a few lines of code. The videos can be viewed with a Cardboard viewer or just using the smartphone or desktop. Ready to get started? Take a look at our list of the best Cardboard apps and games and the best smartphone headsets for VR apps. A big week for Oculus Rift of course included an iFixit teardown - the Rift came away with a 7 out of 10 score for repairability. The notes included the fact that the "intricate design and delicate ribbon cables make it difficult to remove the lenses, displays and motherboard." But it's not a bad score and iFixit say "cable management is much improved from the developer kits, with a sturdy connector for easy removal" plus the face pad comes out easily. It's not all about the Rift - check out our hands on HTC Vive review and our list of the best Sony PlayStation VR games to look forward to.